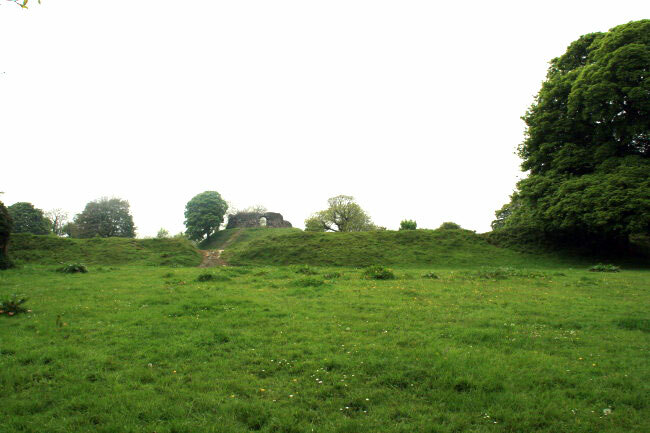 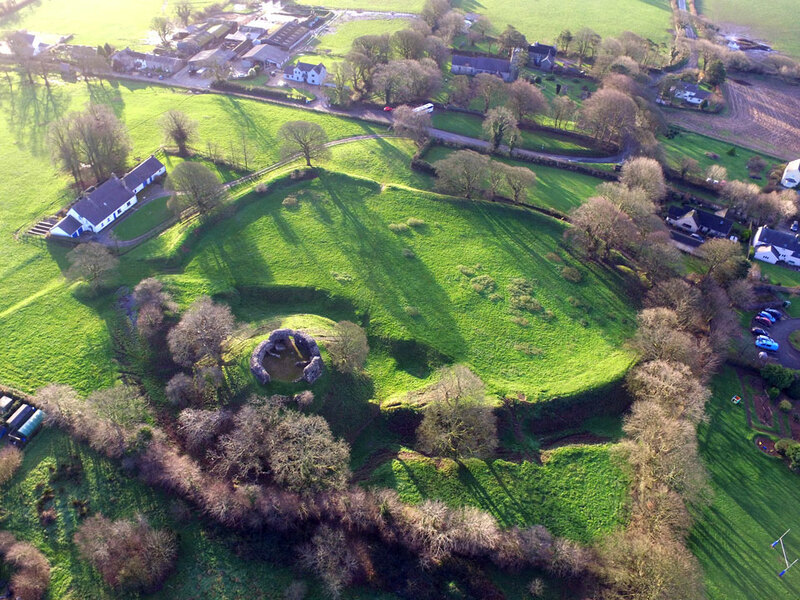 The large motte, 40 feet high, is surrounded by a deep ditch and with an adjoining bailey. 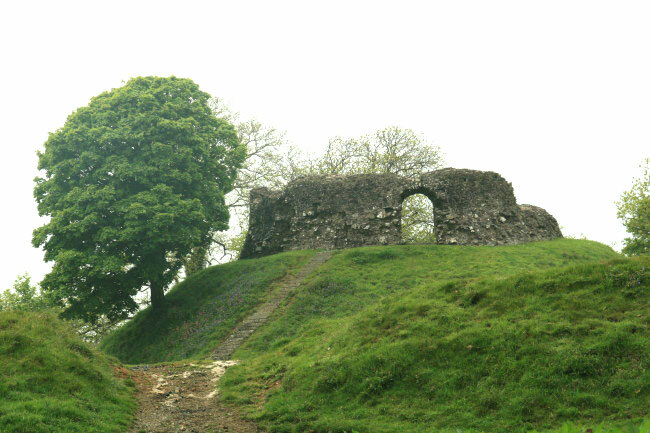 A shell keep was built in the late 12th or early 13th century but only the lowest level remains, now standing just 10 feet high. 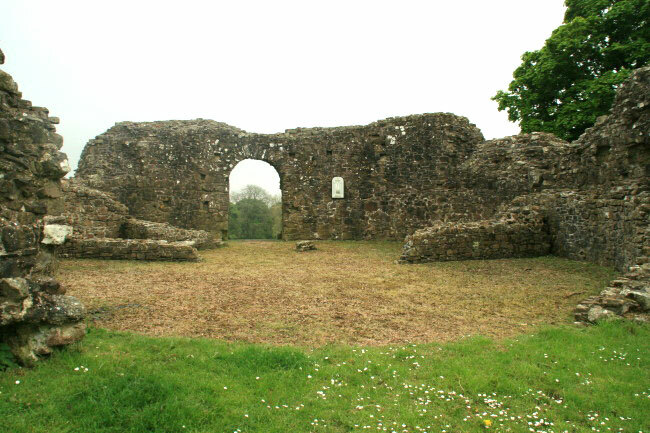 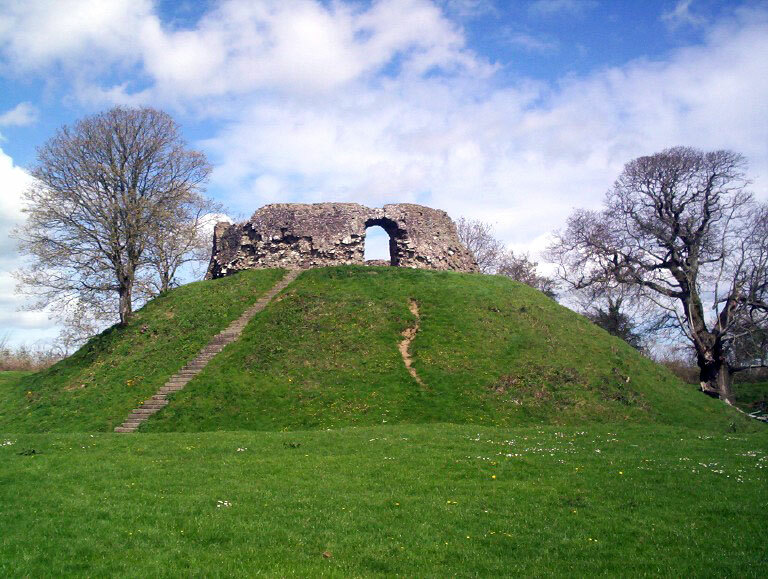 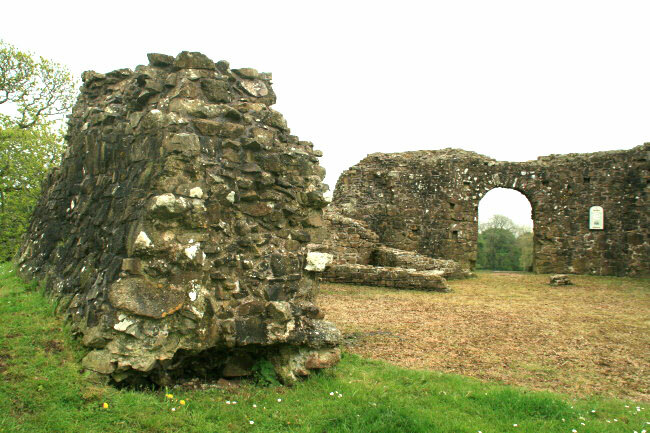 The castle was twice captured by the Welsh in 1147 and 1193 but each time was taken back into English control. 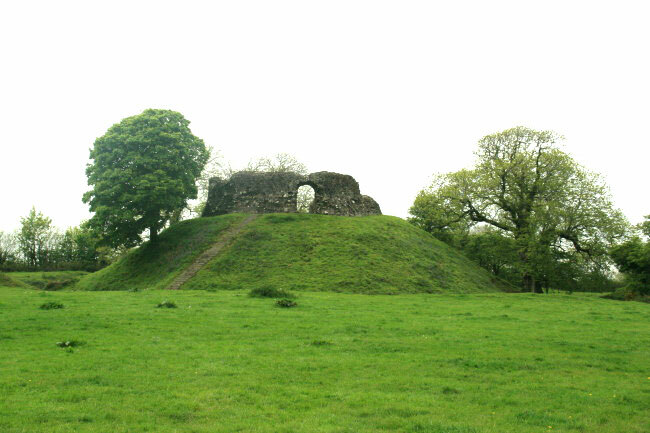 Both the castle and town were badly damaged by the Welsh again in 1220 and it is not known if the castle was rebuilt after this. 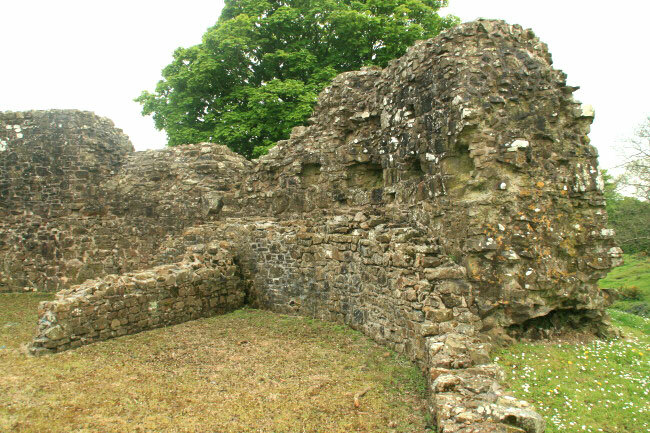 It was later replaced by a new residence, Old Manor House, that was built next to it although this was in turn rebuilt in the 18th century.